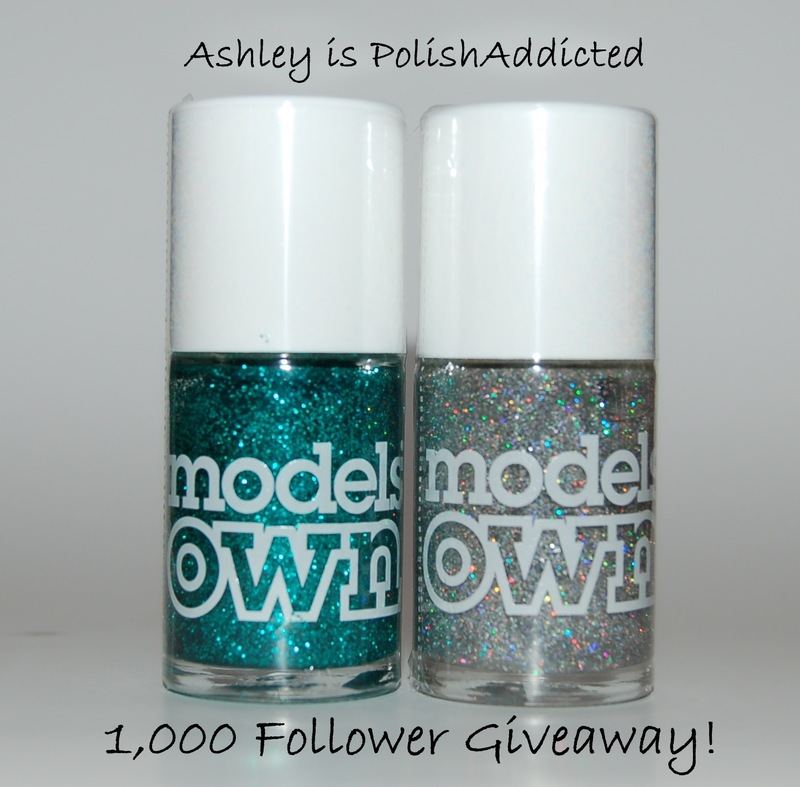 Ashley is PolishAddicted: 1,000 FOLLOWER GIVEAWAY! Wow! I am so shocked that I have reached 1,000 followers! I never in my wildest dreams would have thought I could reach this milestone, thank you all so much! To celebrate I have a pretty awesome giveaway planned! The lovely Katie from Harlow & Co. has graciously agreed to sponsor this giveaway with some of the AMAZING polishes she sells! Harlow & Co. sells top notch brands such as Nubar, Model's Own, Ozotics, Picture Polish, Glitter Gal, Nerd Lacquer and more! For this giveaway there will be two winners. The prizes will be shipped directly from Harlow & Co. after the winner is chosen. There is a Nubar prize and a Model's Own prize! The first person chosen will get to choose which prize they would like and the second person chosen will receive the remaining prize. Let's take a look at the goodies, shall we? This giveaway will end on Friday, March 23rd. Fill out Rafflecopter widget below for your chance to win!! And again, THANK YOU ALL SO MUCH! Ooooo, does want to win, lovely! HOLY ShNIKES!!! love love love!! CONGRATS!!! and thank you for the giveaway!!!! *crosses fingers* and idk what a blogroll is! such an awesome giveaway congrats!!!!! never tried either of these brands but would love to try them! Congrats and thanks for an amazing giveaway! oh I'm going crazy, sooooo pretty *-* WIN ITTTT! You are getting out of control with 2 giveaway announcements in 1 day!! ;) congrats! Such delicious polishes! Juicy Jules you will be mine! Congrats to you!! 1000 is a MAJOR accomplishment. Does the Nubar look similar to Finger Paints Asylum when it's over a dark color? I love that look! I would love either of these prizes! You can't have too many polishes! Congratulations on reaching 1000! That is great and says alot about what a great blogger you are! Congrats on 1000 followers!!! Amazing giveaway, thank you!!! Wow, your followers blossomed overnight! Congrats and thanks for the giveaway - I'm excited! Congrats Ashley! You deserve it as your blog is awsomesuauce! 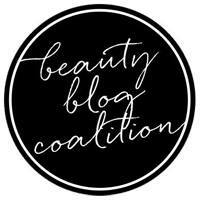 love the blog...awesome giveaway too!! Congrads on the 1k milestone!!! I've got my fingers and eyes crossed for that Nubar set. Thank you. congrats! would love to try nubar! This is such a great prize, congrats on hitting the big 1K! Congratulations!! Way to go heheh so happy for you! This is an awesome giveaway, thanks so much! love me some nail polish!! so excited for this giveaway ! This is sooo exciting! I love Nubar and have never tried Model's Own! Thanks and congrats on all of your followers!!! Awesome giveaway! Indigo Illusion has been a lemming of mine for a while and I have yet to try Models Own polishes. Thank You! Thank you for having another amazing giveaway and congrats on 1,000 followers! Congrats on 1000 followers! Thanks to you and Harlow & Co. for the giveaway. It's great to see a little Canadian company getting so much blog love lately. omg models own is something i can't buy in my country... i would so like to win it!!!!!! Woot, thank you for the giveaway (hope it's international, couldn't find any info in the post?!). And congrats for the BIG milestone! Love all the polishes up for grabs. Wow congrats for the followers!!! lovely giveaway. Woooohooooo congrats!!! Well done you!! HI! I'M NEW ITALIAN FOLLOWER, I'M LAURA VALZY! ENTER ME, PLEASE! Thanks for having this giveaway! I would love to try out the nubar polishes! Congrats on reaching 1K + subbies! :) I would love to add these babies to my collection! over 1000 followers?? congrats darling!! i've been dying to try models own!! congrats ! these prizes are amazing ! Congrats and thank you for the chance to win some gorgeous polishes! 1000. Wow !!! Congratulations !!! Models Own glitter polishes are on the whole fantastic. I don't think it registered my comment before. Anyway, congrats! I would be thrilled to win either prize! Love your swatches and posts - no wonder you have so many followers as you are amazing! Great prizes. Congrats on so many follower and to many more. I don't have either brand, but of course have been drooling over them on the internet! I'm not seeing my first comment..feel free to delete this if it did show up, sorry..
Congrats! Love when bloggers reward their followers. What a great giveaway! And congrats on 1000 followers! Cheers! Congrats on 1000 followers! I love this giveaway! Congrats on all your followers! I've been dying to try Nubar Diamont top coat...this prize is calling to me! Congrats on your followers! 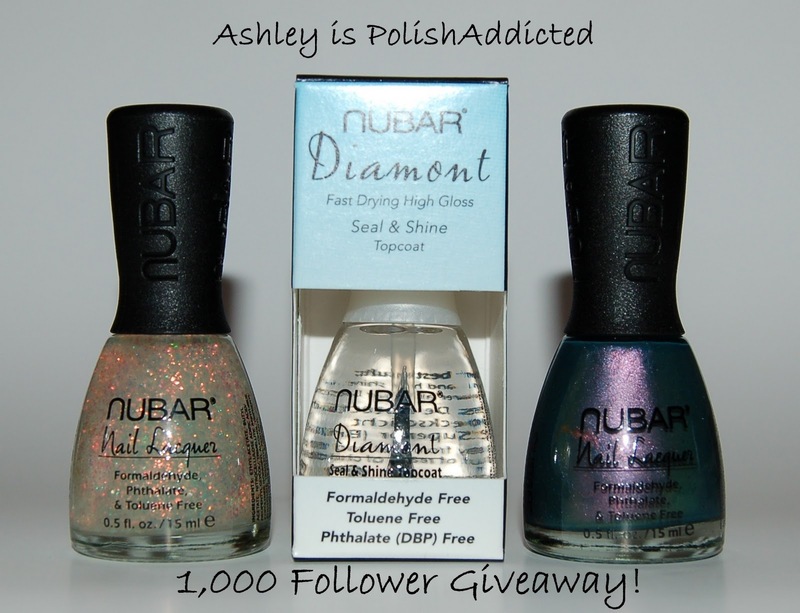 I've been dying to try Nubar Diamont...this prize is calling to me! Wow, 1000 is a LOT of followers! Congrats! Wow!!!! 1,000 followers! And here I just hit 33!! Congrats!!! Congratulations! And thanks for the giveaway! wooooooooooooooho!! 1000 followers!! Congrats, my dear!! Hey, congrats! :) amazing giveaway! CONGRATS, ASHLEY!!! and thank you for the fab giveaway! Congratulations on the 1000 followers. I love how you show handmade polishes from small, independent sellers. I would love to win these and love your previous posts! Congrats on 1000 followers! Amazing! Holy moly!! Congrats on the followers!! Congrats on 1000 Ashley! This giveaway is amazing! I'm loving the Model's Own. congrats on 1000+ followers!!! i love your blog! I prefer a nickel.. but hey i guess copper is fine.. lol!! Congrats on all your followers.. you deserve every single one of them!! Cant wait for all future posts by you ! thanks for this awesome giveaway opportunity! Super exciting! Thanks for the awesome giveaway. congrats!! :) & thanks for this giveaway. Thank you soooo much for amazing giveaway and congrats! Lacquistry Aqua Shredded- Two Different Ways! Max Factor Fantasy Fire Part 2! Nubar Black and White Polka Dot Party!!!! Two Julep Boxes and International Nail Mail!!! Announcing My Very Own Domain Name!! !